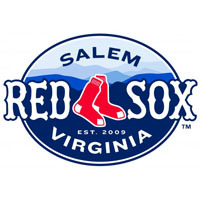 With two outs in the last of the sixth, Sean Coyle ripped a double into the left-center field gap to bring home Xander Bogaerts and give the Salem Red Sox a 4-3 lead that would not be relinquished in a 6-3 victory over the Lynchburg Hillcats on Friday night. Salem scored a pair in the last of the sixth to overtake Lynchburg, who had broken a 2-all tie and taken a 3-2 lead in the top of the frame. Scoring the retaliatory runs in a timely manner made a winner of Miguel Celestino, who delivered his eighth quality start of the season with six strong innings. While Michael Almanzar drove in a run to tie the game in the sixth, he went 0-for-4 to snap his hitting streak after 11 games. Bogaerts finished 2-for-3 with a walk, an RBI, and two runs scored, driving in Heiker Meneses on a bases loaded single in the first to surge the Sox to an early advantage. Two frames later, Brandon Jacobs clobbered a first-pitch offering from Dimaster Delgado, smashing a solo homer over the fence in left to give the Sox a 2-0 lead. Jacobs went 1-2 with two walks along with his home run, his 10th of the season. Celestino surrendered two runs in the top of the fourth, with Edward Salcedo and Braeden Schlehuber cracking consecutive doubles before Emerson Landoni’s RBI single tied it up. In the top of the sixth, Dan Brewer led off with a double, advanced to third on Michael Spina’s tapper to the mound, and scored on Schlehuber’s ground out to third, lifting the Hillcats into a 3-2 lead. But the Sox responded twofold in the latter half of the frame, utilizing a leadoff single from James Kang, an error on a pickoff attempt that allowed Kang to move to third, a walk to Bogaerts, an RBI grounder from Almanzar, and Coyle’s clutch double to retake the lead. In the eighth, Salem added two more on Coyle’s second RBI knock of the night, a single smashed into left that scored Jacobs. Brewer overran Coyle’s hit in left field, allowing Bogaerts to score to make it 6-3. Celestino improved to 7-6 with six innings of three-run, six-hit pitching, and Pete Ruiz earned his third save with a scoreless ninth. In between, Michael Gleason tossed two scoreless as the first man out of the Red Sox pen. On Lynchburg’s side, Delgado fell to 6-5 with the loss, yielding four runs on five hits in six innings.